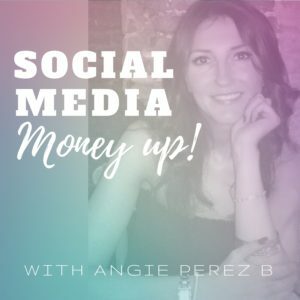 Podcast brought to you by AngiePerezB.com, Social Media Marketing Made Easy For Business And Bloggers. How to create a FREE blog in 5 minutes step by step for non techies. Create a WordPress Website or Blog. Full tutorial, step-by-step guide. Import your post on Medium. Pinterest has a very particular size which you absolutely need to create an image with those dimensions. And the images with Twitter dimensions work very well on almost all the other social media platforms (except Instagram of course). 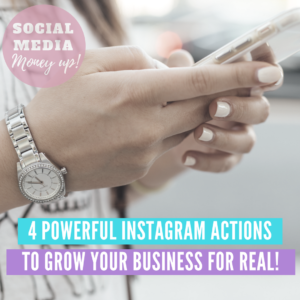 But in any case we will talk about Instagram at the end of this episode because it has particular conditions in terms of the link building strategy I’m explaining here. Step 3: Create captions and research hashtags. You need to create an appealing caption that will be used on every share you use for this content. I have a blog post about how to create a catchy headlines which will be very useful for your captions as well as for the title of your blog post. I will leave the link to this article on the show notes. In the same way you need to research the appropriate hashtags you are going to need for this piece of content. Hashtag are extremely important in platforms like Twitter, Instagram and Pinterest. Also LinkedIn and medium needs hashtags. Step 4: Create a Pin on Pinterest. Use the specific image created for Pinterest on step 2, with the appropriate size for Pinterest and share this image on this platform. When it’s properly used, Pinterest can be the social platform that would bring most traffic to your website. Pinterest is also great for your products as well. You just need to create boards with your products. Please check in the show notes the link to my free Pinterest tutorial. So going back to our link building strategy, your Pinterest image needs to be vertical and eye-catching and also don’t forget to use keywords on the caption and also on your hashtags. Step 5: Social posts with your Twitter image. Use the Twitter image, the caption created on step 3 and the link to your blog post, and create posts for: Twitter, your Facebook page, Google+ and Medium. For Twitter, use the text, your link, and 2 or 3 hashtags. For Facebook only the caption and the link, no hashtags. For Google+, use the text, the link and 2 or 3 hashtag And for Medium I would suggest to write the caption and a couple of paragraphs of your article, and then I would write a line saying something like this: “to read the full article, please click on this link”. You can also upload your content on Medium (I will leave the link on the show notes to upload blog post on Medium) but some authors don’t think this is a great idea since it can be a kind of duplicate content for SEO purposes. Step 6: Direct sharing. Now it’s the turn of direct sharing your blog posts on StumbleUpon, Mix and LinkedIn. Just share your content directly from your blog using the sharing buttons on your blog. On LinkedIn don’t forget to add your caption and add 4 up to 8 hashtags. Believed or not, content shared on LinkedIn without images, works much better in terms of engagement. So I wouldn’t add the image of the blog post on this platform. Step 7: Reply people’s questions. To do so you need to go to Quora and search for questions related to your blog post. You just need to properly answer them and also add a link to your blog post. You can also do this on another powerful platform called Reddit. This step takes a long time so you can do this step when you have plenty of time to spend maybe one hour to write good answers to people’s questions. Finally, I’m going to talk about Instagram. It is not included on my steps only because it is not a right place for link building, since you cannot share links on Instagram (other that the one on your bio). 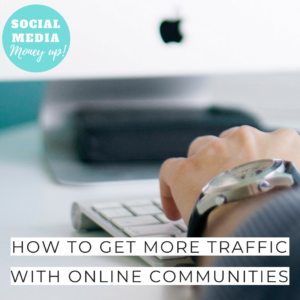 But still you can drive traffic to your site in 3 ways: Using the link on your bio. You can either use your last blog post link, or better yet, what I recommend is using Linktree, where you can use multiple links. You can take a look at my Instagram bio to see how it works. (My Instagram handle is angieperez.b) Way number 2 is by mentioning on your IG caption you have just a new blog post, and ask people to go to your site to read it. And the other way is on stories. This is the best way to talk about content of your blog on Instagram. Also, if you are so fortunate to have more than 10K followers, you will have the amazing feature of swipe up to drive traffic to your site!!! Use it!!!! Now go ahead, and put into practice this strategy and of course let me know how it goes!!! Please don’t forget to leave your questions or comments on my Facebook group called Social Media Money Up Group, a place for collaborations, offering services, requesting help, sharing your projects, asking questions, inspiring and learning from one another!!! See you in the next episode of Social Media Money Up! Happy Socializing!! 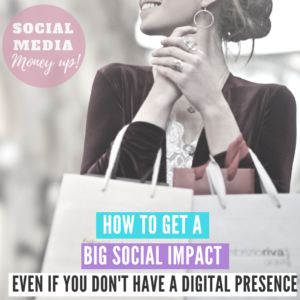 Next PostHow To Get A Big Social Impact (even if you don’t have any Digital Presence).